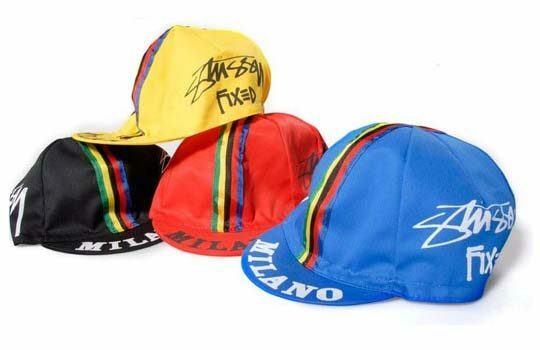 Stussy Milano has made a few cycling hats reminiscent of the old Brooklyn Chewing Gum hats and other cycling hats we’ve all been paying $10 for over the years. Is Stussy stepping into the “Fixed” market place? At least they don’t say “FIXIE” anywhere on the hats. I do wonder if they’ll release them in the US. I’d be down with a Stussy NYC hat for sure.